Men and women have different jobs at this pivotal time in history. For women, it is time to reclaim their power, take up the banner of the solar feminine, and move onto the front lines of consciousness. For men, the challenge is to drop down out of the intellect that is so worshiped in our patriarchal society, into the emotional processes that yearn to be acknowledged and cleared, and reclaim the energy of the heart—that energy of balance, equality, and unconditional love. So what is stopping us—both men and women—from throwing off our patriarchal ideas about the feminine/masculine and taking up residence in the new world where we have very different roles? If you are a man, what fears are stopping you on the road to reclaiming your heart energy? Fear of appearing vulnerable or effeminate; of alienating the woman (or man) you love; of finding yourself alone? Fear of your strong male countenance falling apart; ending up in an out-of-control puddle of emotions? And if you are a woman? A belief that you need permission to do this work? Fear that you could end up a woman alone with no support? Fear that the men in your life will not be there to protect you as you stand in your power amid a harsh, male-dominated world? So how do you eradicate your buy-in to fear? You learn a good processing technique and employ it every time you are triggered. You break your habit of resisting things that are uncomfortable and replace it with a new habit—the habit of turning to honor, welcome, and embrace your processes. At the bottom of any process is fear and, tucked right inside of that vibration of fear is a gift—the light and balance of the Universal Self. Fear is your friend. 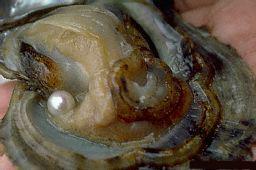 It is a vibrational wrapper around light, like an oyster that is hiding a pearl. As the unraveling of the Patriarchy intensifies this summer, you’re going to need a good processing technique! Find one now. All systems are “go” for supporting this inner work. By employing one, you take full responsibility for your own issues. You can’t take responsibility for your partner, family, or friends. They must do their own work. Just concern yourself with the fear-based processes that arise in your own consciousness. Meet them. Welcome them. Investigate the behavioral pattern to find the hidden pearl. If you are willing to do that, your outer circumstances will shift in a way that is more aligned with the new paradigm in consciousness. By doing that, you model taking responsibility for those around you—an enormous service to those you love if you think about it. We can change our world. By changing ourselves. So, what’s it going to be? The old patriarchal world of fear-based control or the new world of balance, equality, and unconditional love? It’s for you, and no one else, to decide.